This is the ink that I had ended up organising 3 mass orders for. I was bitten by the bug when I was given a sample of Sailor Bung Box L’Amant by a friend. 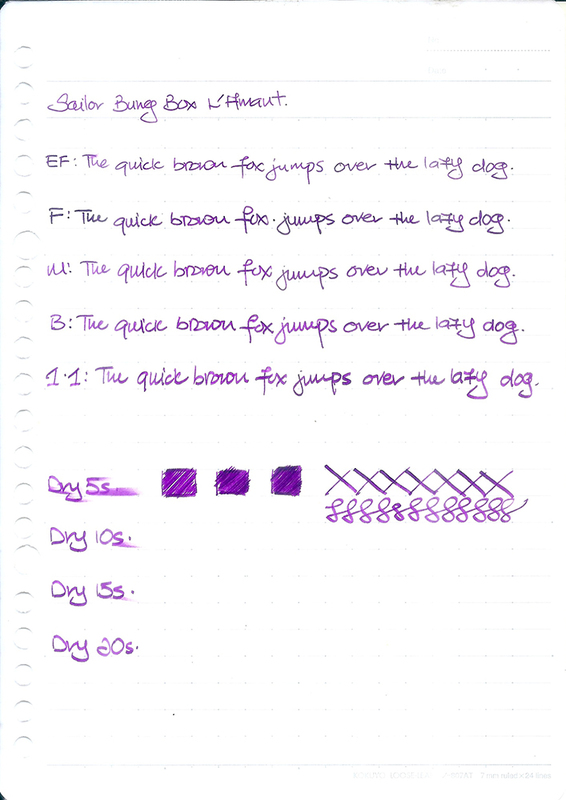 This is just a stunning purple ink. It’s bright and jumps right off the page. It shades beautifully from a dark purple to a pink-purple hue. It’s one of my favourite ink that I’ve acquired so far this year. If you are looking for a purple ink that will surprise you Sailor Bung Box L’Amant will be that ink.